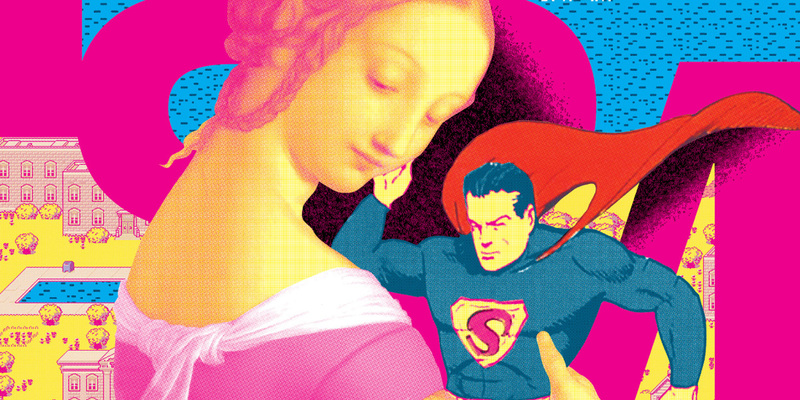 Posters and designer sheets: art or not? Vintage, film, advertising and propaganda posters, photographic reproductions and designer sheets. Today there is no need to prove that these are all works of art. For a long time there had been a confusion about what a poster actually is. Some say it is any piece of paper (preferably big) that hangs on the wall. Others refuse to see a poster as something so mundane. They come up with various noble tasks for it: here a tastefully framed poster decorates a living room or a bedroom, there a conceptual reproduction gives an office a rich modern look. Who is right in this argument? Strangely, both sides are. What is called a “poster” in English (an advertising sheet hanging in the post office), is called “plakat” in German and “affiche” in French. They are all similar subjects — children of Jules Chéret’s lithographic press from France, who in 1866 started publishing advertising bills for cafe chantants and theatres. Then, in 1870 the French invented colour printing for posters and everyone realised that a new form of art was born. 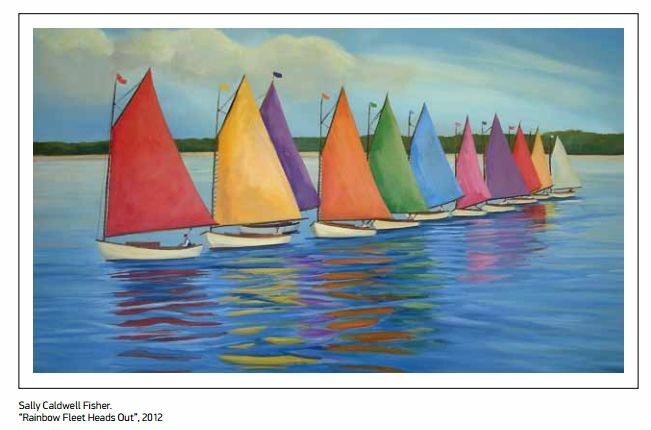 Instead of an oil painting — reproduction on a piece of cardboard, instead of a drawing — a lithographic print... A poster is bought when there is no money for the “high art.” Of course it is nonsense and a stereotype. Firstly, as practice shows, well-off people also prefer posters, those who value hi-tech, minimalism and New York pragmatism. So it is the young and mobile. Framed posters or series of photographs are not compatible with antiques, with gold and velvet furniture. Secondly, posters are far from cheap. For example, Toulouse-Lautrec’s posters are classics of the genre, three of his Moulin Rouge posters we sold for $220,000 at a special auction in 1989. Prices for a Lautrec grow every year by about 20%. The most expensive poster was sold by Reel Poster gallery in 2005 for $690,000. It was a one sheet ad for Fritz Lang’s Metropolis, 1927. Even in Russia, with its burgeoning art market, a poster is not the cheapest of possessions, you will not find any decent framed posters in a gallery for less than $1,000. No matter how and where? It seems that it is not customary to discuss the quality and standard of posters. It is not Van Gogh or Rembrandt, after all. A poster is purchased from a designer point of view. In theory it is so. 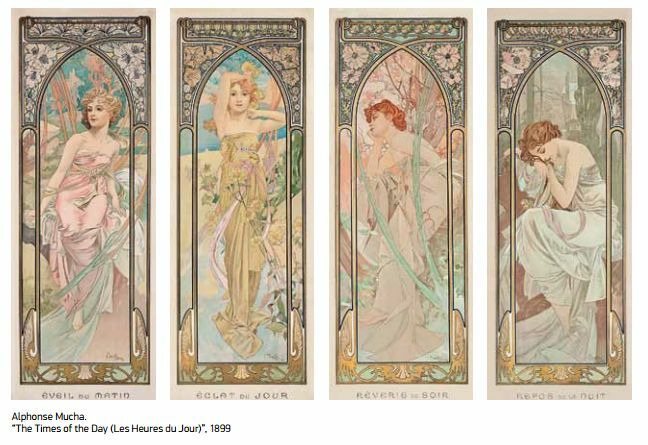 There is a huge market for decorative posters and lithographic prints, chosen to match the colour of walls, but those who think of posters as art will not pass by names like Henri Toulouse-Lautrec (who made Paris cabarets famous) and Alphonse Mucha (a genius of Art Nouveau, Czech artist who worked in France and America on various advertising posters). Then it becomes even more interesting: vintage cinema posters (the best are from 1920s), World fairs posters (especially posters for different countries for Liège fair in 1905), railway posters from the end of the 19th century. Basically, like in any collection, a taste for rarities is essential. Quantity is the death of quality? It is considered that the real poster boom started after 1963. During repairs in a Paris literary magazine office, a thousand Toulouse-Lautrec posters were found under the floor boards. At first they were sold for $100 for ten, then for $1000 for one, and then the prices topped tens of thousands. It is not about the circulation, but about the quality and age of the work. Thus each one of the few remaining copies of Leonetto Capiello posters (most were created for international expos where Mussolini’s Italy took part) are sought-after, even though at some point painters used them to line the floors in the pavilions. Sometimes artists themselves limit the number of posters based on their work or created for advertising campaigns. Salvador Dali liked doing it when working for fashion houses and appliance manufacturers. This question is not so idle. Father of the poster Jules Chéret stated that it must be impossible to pass by. With this purpose in mind he started making posters showing women’s legs and revealing clothes. Cinema took up the mantle: in 1920s-1930s they picked scenes from the films and images that would keep men glued to the poster stands. 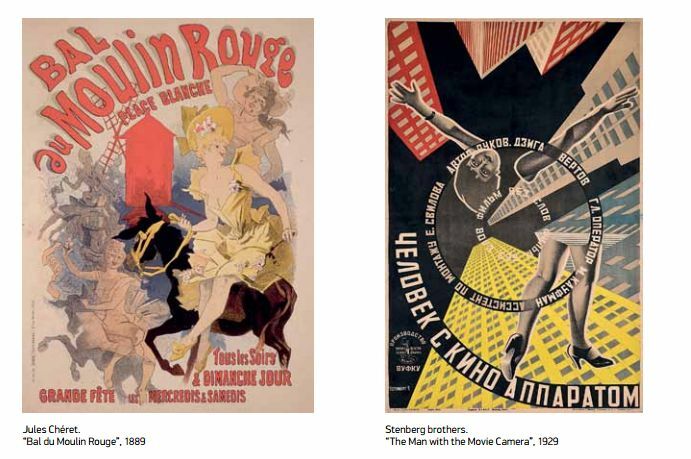 From time to time propaganda tried to remove erotica from the poster, and constructivism and futurism helped by replacing the human body with lines and circles. However, nature took its course, and during the Great Depression in America, a whole genre appeared that remains popular now — pin-up girls: coy blondes in miniskirts advertise goods and services. Ironically, Soviet photos with athletes and “a girl with a paddle” now fall into this category. Soviet poster – who needs it? “Russian poster” for the rest of the world means quite a specific thing — a 1920s-1940s poster from Moor and Mayakovsky (when the poet made propaganda posters for “Okna ROSTa” — provider for shopping windows) to Toidze (author of the poignant “The Motherland is calling” poster). Soviet posters were lovingly collected during perestroika: Russia’s main library even had a special department for them, but as soon as Western craze for revolutionary memorabilia faded, prices and demand fell. 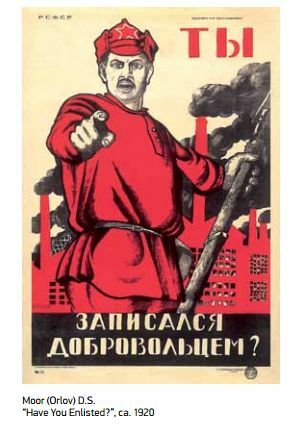 Now Russian poster is supported by private collectors, like Sergo Grigorian, who showed a genius collection “Death to world capital” (posters with bourgeois and workers) of 1920s-1930s not just anywhere, but in the heart of nouveau riche city, the glamorous Petrovsky Passazh in Moscow. More than half of all the product sold by poster galleries are copies of famous (or on the other hand rare) masterpieces. The sellers insist that modern reproduction might even be better than an original. Of course it is not the case: it is stupid to pretend that a Mona Lisa in your bedroom is as wonderful as the one in the Louvre, but reproductions are really popular now. Experts have three main recommendations on this account. First, choose less ubiquitous images (the biggest craze is a zoomed in part of an image). Second, steer towards abstractions (Kandinsky, Mondrian, Pollock), they do not become tiresome and fit the interiors better. Third, no gold or molded frames, the frame needs to be very simple.